I am so glad it's Friday. I am ready for some college football and baseball World Series this weekend. What's even better is that I don't have to go into the office on Monday like I usually do...I don't have to go in until Tuesday, though I am on a conference call for 5.5 hours on Monday instead. I'm back tonight with a birthday card I made for my research assistant. The little girl reminds me of her child and that's exactly what she said when she opened the envelope! I colored the image with Copics and Spicas, cut it out with Nesties. Added a Sizzix scallop border to the strip and used Doodlebug dp. 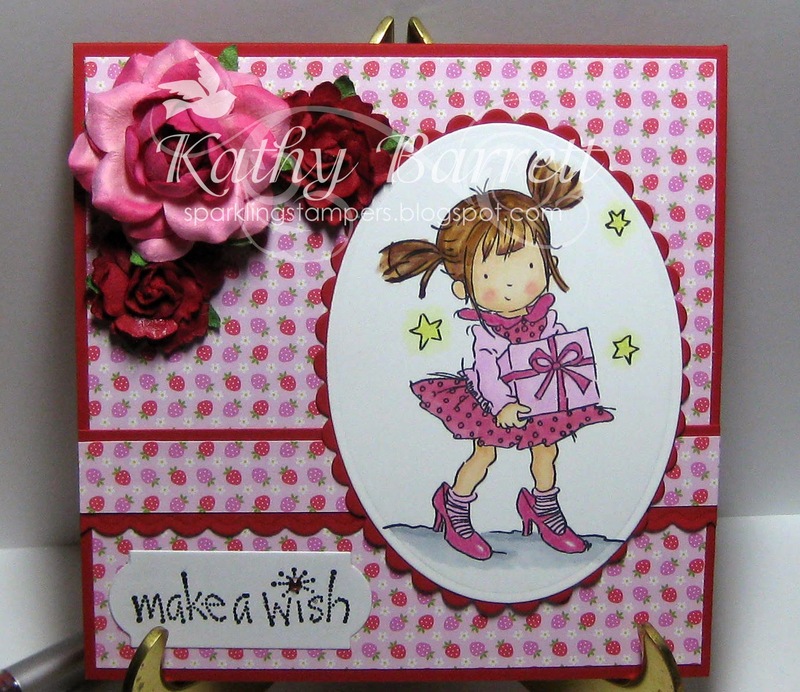 Make a Wish sentiment is from Stampendous, cut out with a Clear Dollar Stamps die, with a Swarovski added to the "i", Flowers are from Prima and Michaels. The image is from Lili of the Valley. 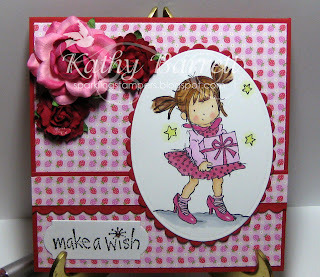 This is an adorable card all over the place--the image is darling and I love the flowers and paper. I'm into pink right now. :) The hair looks fab!